Is the Egyptian god of chaos on your back? Have you upset some ancient monsters? Need a magic spell – fast? Then this book is for you! Explore the people, places, gods and creatures of Rick Riordan’s #1 New York Times bestselling series, in a book that boasts lenticular pictures, a trading card pyramid, and full-colour diagrams and maps. 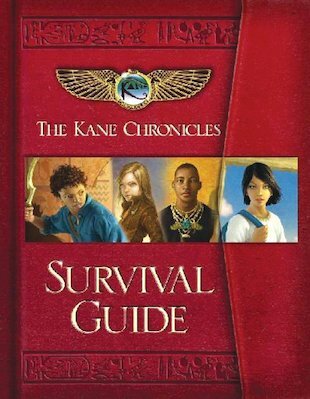 This deluxe, lavishly illustrated guide will teach you how to compile secret messages, read hieroglyphics and recite ancient magic spells. Everything you need to defeat monsters and help the Kanes in their quest!